HELP is committed to reaching people with the good news of the Gospel and planting churches that have an eternal impact. In addition to church planting, HELP provides education, literacy training, village development and skills training with the goal of making Jesus known to each man, women and child that we serve. 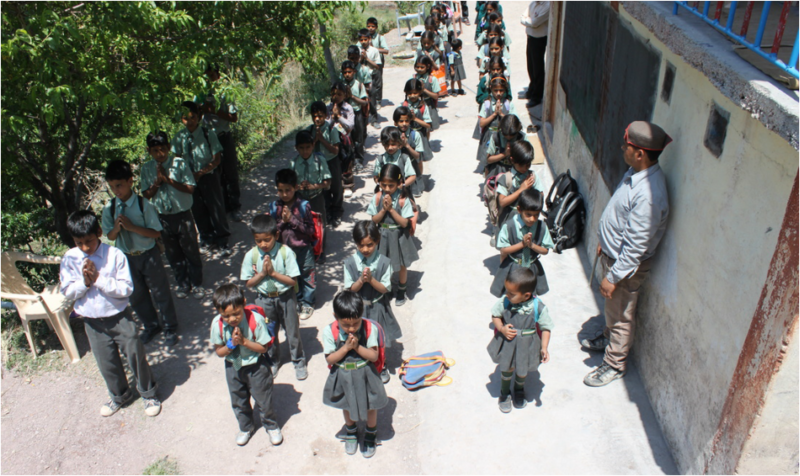 HELP is meeting vital needs in the community and has an open the door to minister and plant churches throughout the Garhwal mountain region. Manoj D. is the Director of HELP Ministries and is also the In-Country Director of Promise Child for India. Promise Child has partnered with HELP since 2008 to provide education, school uniforms, hot meal program, school supplies, and shoes because we believe that together love can bring hope for a child today. As we partner together, we invest in the lives of the children and youth in meeting physical needs, which provides an open door for the Gospel and a hope that will not disappoint. Promise Child is currently sponsoring children in the schools, hostels and through the scholarship program, but that only provides for a portion of the many ongoing needs that HELP ministry has as they operate on a larger scale. 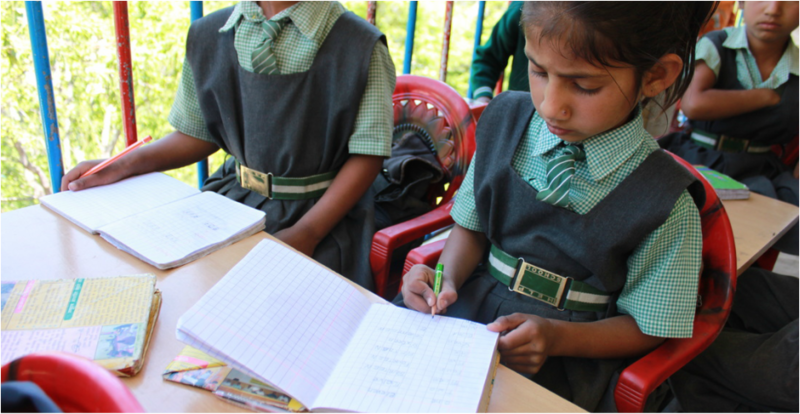 At each of our schools, we are providing education, school uniforms, hot meal program and school supplies in a Christ-centered learning environment for nursery through 8th grade. We are investing in the next generation and this gives us the opportunity to spend more time with the children and their families. We have opportunity to visit homes, counsel with villagers, attend to the needs of the sick, and share the love of Christ with those who send their children to HELP schools. School outreach is effective because we are able to educate and build relationships with the children and their families and use this as a platform to share the Word of God with the villagers. We are working in remote regions where most children have never heard of Jesus prior to coming to our school and we have the privilege to share the Gospel with each of them. Each hostel provides a home for children to live on-site at our schools. Most of the children in our hostels are orphan or semi orphan and they are from very rural areas making it difficult to travel to school on a regular basis. Many of them were previously living with a relative and have had a hard life, caring for animals, working in the field and not able to focus on school. The opportunity to house students on-site and care for them full-time removes many burdens from relatives and gives each child hope for the future. The children that live in the hostel receive a good education at a Christian school, have regular bible studies at the hostel, learn responsibility and are provided with loving caregivers that are part of HELP staff. When students graduate from 8th grade at our schools, we are able to provide scholarships as they move onto other government schools. This ensures children will continue their education by helping to provide school fees, uniform and school supplies. The scholarship ministry allows us to continue to minister and disciple the youth who go on to attend schools without any Christian influence. We are able to offer discipleship, counseling, and youth conferences to encourage students in 9th – 12th grade in the ways of the Lord. The purpose of evening classes is for children to get assistance after normal school hours. This program is offered Monday – Friday for 2 hours each afternoon / evening. Teachers provide assistance with homework and tutoring in specific subjects for those who may need additional help to succeed in school. 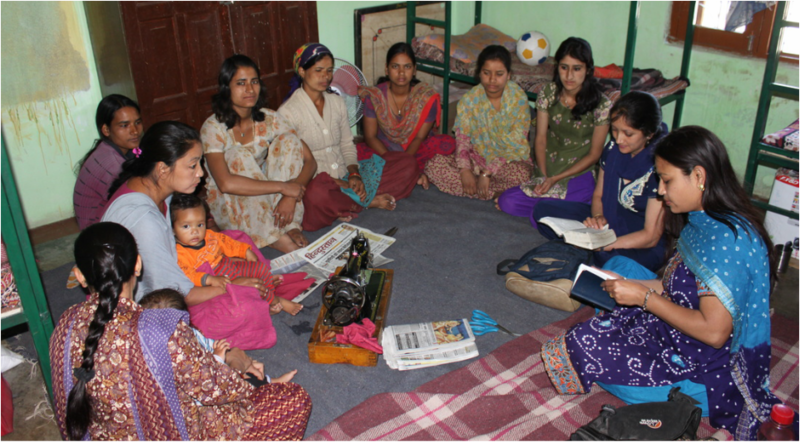 We are offering sewing classes and health awareness programs for village women and each time we gather together, the women are taught a bible study. This allows opportunity for us to minister to women who may not otherwise attend church or be open to hearing the Word of God. We train them in skills and this allows them to help their families or get a job, making a better life for their family. Our goal is not only to see these women improve physically, but most importantly that they would grow spiritually. The focus of HELP is to preach the Gospel in remote villages, teach the Word of God verse by verse and disciple those who put their faith in Jesus Christ. We have trained up men to shepherd the flock in these areas and plant churches. 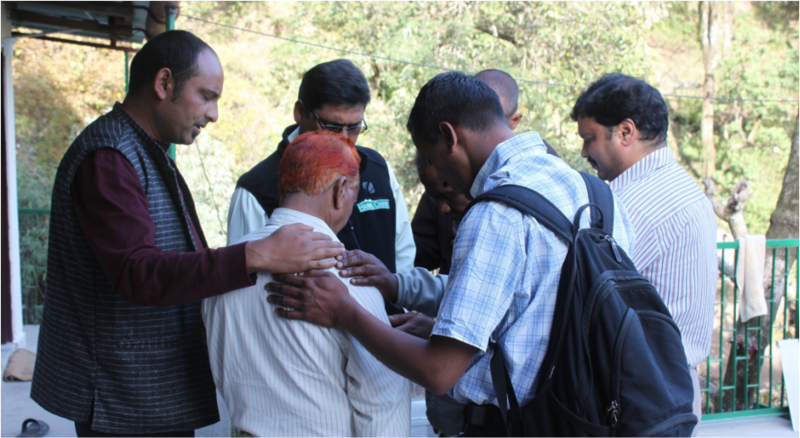 Our desire is to see many more pastors equipped and sent out to continue the church planting work, as there are still thousands of villages throughout the Garhwal mountains without any known Gospel witness or bible teaching church in their area. In order to take the Gospel to unreached areas, we find villages who are in need physically and we meet the need through providing a clean drinking water supply, building latrines (outhouses), and greenhouses to grow vegetables that are costly in the market. We teach families how to grow their own food and develop proper hygiene; making them self-sufficient even in difficult locations. By providing these development programs and resources, we have an opportunity to have relationships with the people in the village and share the Word of God.